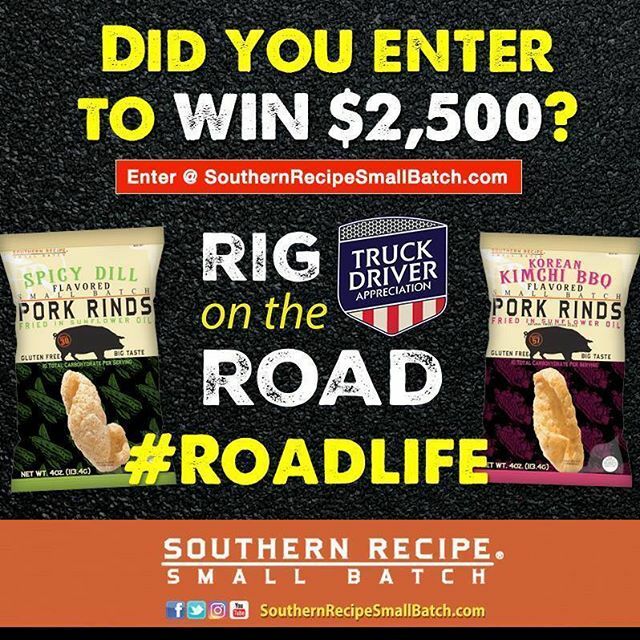 Southern Recipe Pork Rinds Giveaway! 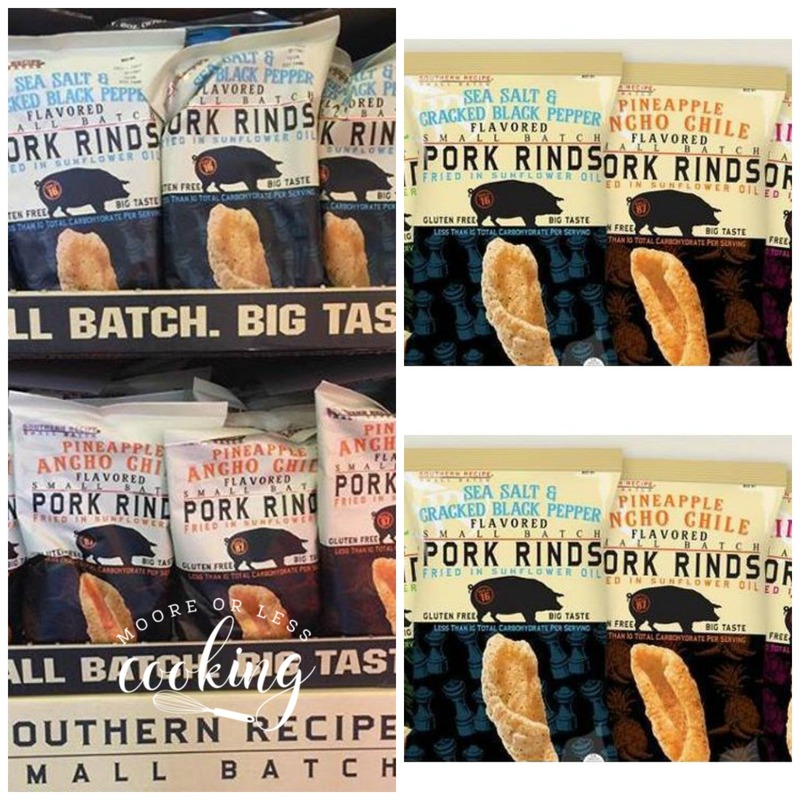 I am giving away 4 bags of delicious Southern Recipe Pork Rinds to one lucky reader!! 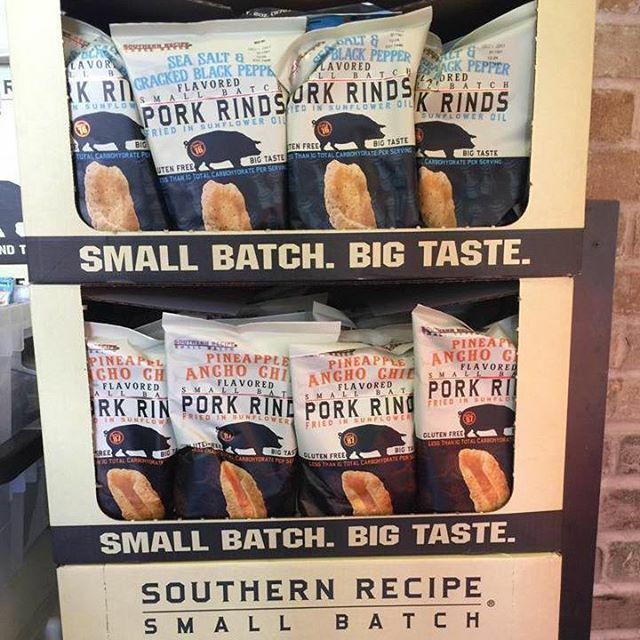 Did you know that Pork rinds are a high protein, low-carb snack? Southern Recipe offers 4 unique new flavors! Sea Salt & Cracked Black Pepper, Korean Kimchi BBQ, Spicy Dill and Pineapple Ancho Chile are such delicious flavors! 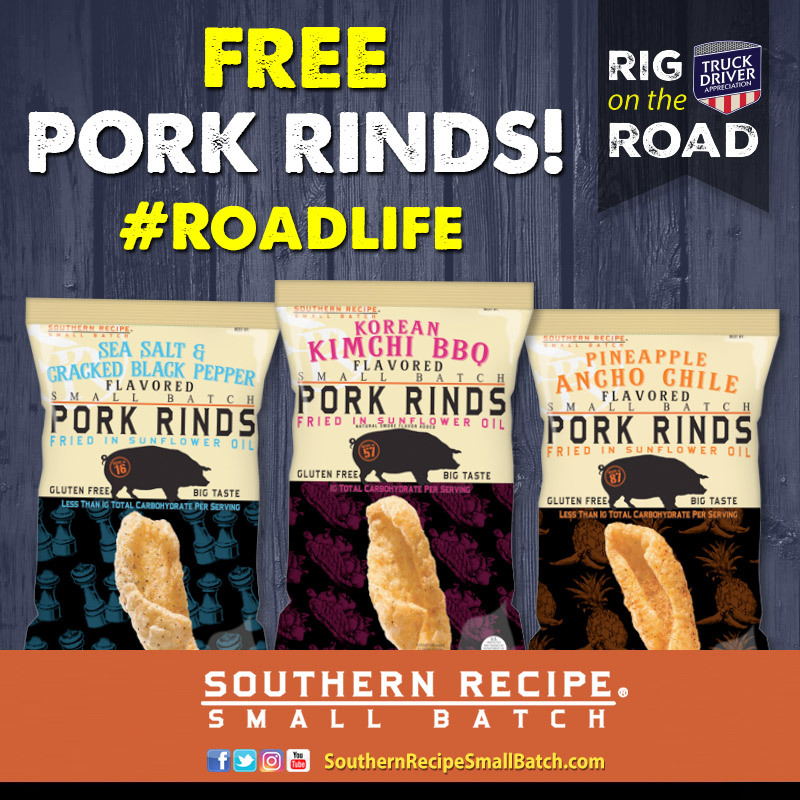 These pork rinds are cooked in sunflower oil and made in small batches. Make sure to leave a comment below telling me which flavor that you are excited to try first! 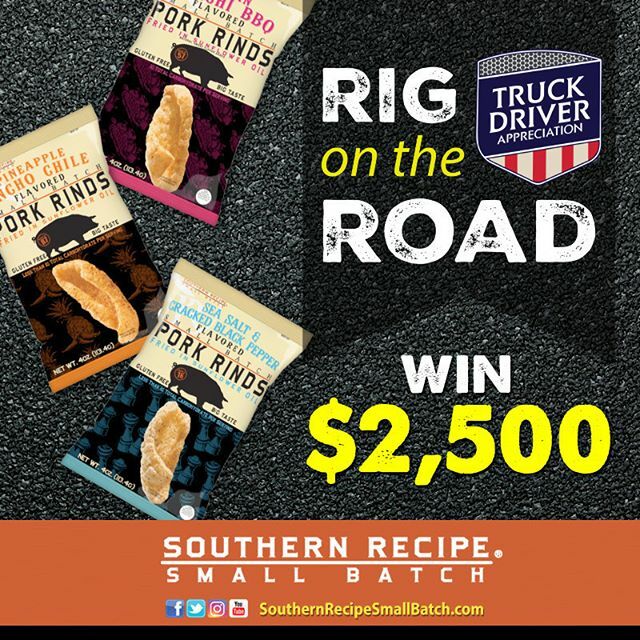 Southern Recipe, is honoring more than 3.5 million hard working truck drivers in the USA who travel almost 400 billion miles each year with its 6th Annual Truck Driver Appreciation campaign. From August 1st- September 17th, truck drivers, families, and consumers are invited to learn more about Truck Driver Appreciation Week and pork rinds at PorkRinds.com. Visitors can earn a chance to win $2,500 by submitting a photo of him/herself or their rig (if they are a truck driver) or of a truck driving friend. Driver Appreciation Week, September 11th-17th, 2017. Southern Recipe draws awareness to the charity and its good work throughout the campaign. to help everyone in the U.S. understand the importance that this hard- working segment of our society plays in bringing the food we eat every day to America’s tables – and the challenges they encounter as a result. Have YOU entered to #WIN $2,500 for our #TruckDriverAppreciation #RigOntheRoad Contest!? No? Get to http://SouthernRecipeSmallBatch.com NOW! Ooh, the one I would most like to try is the Sea Salt & Cracked Black Pepper. Thanks! The Sea Salt & Cracked Black Pepper sounds good to me. I’m with everyone else – sea salt & cracked black pepper. Seriously committed to very low carb eating, so pork rinds are such a treat. I crush them up for a salad topping (in place of croutons) or give ’em a whirl in the blender as a substitute for bread crumbs. Thanks for the chance! Pineapple Ancho Chile please and thank you! These are such interesting flavors! First I’d like to try their Korean Kimchi BBQ variety. The most unusual? The Spicy Dill flavored Pork Rinds. I must admit I’m curious! I would love to try the Pineapple Ancho Chile flavor. Yum. Love sweet and heat. All of them. But if I could only have one I’d have to say I’d like the Kimchi BBQ!! The Korean Kimchi BBQ sound good to me. Love pork rinds! Sea Salt and Cracked Black Pepper! I would like to try all 4 flavors, but the Korean Kimchi BBQ grabbed my attention right away. Thanks for the great blog on truckers my son in law is a trucker. I try to load him up with tea from Joe’s Tea out of New Jersey. You should check them out. Great family to work with! Sea Salt and Cracked Pepper! Ooooh the Pineapple Ancho Chile is my 1st choice!! I would love to try the Korean BBQ flavor! I have been eating pork rinds since I was a kid. I would love to try their Korean Kimchi Barbecue variety. 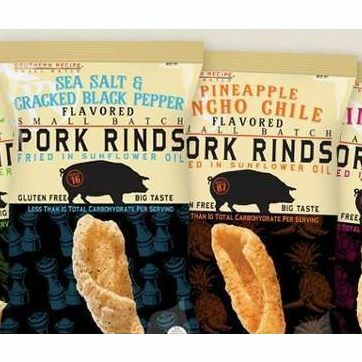 I would love to try the nacho chile pork rinds, sounds yummy! I love spicy so the ancho chili! We’d like sea salt and cracked pepper! I would love to try the Sea Salt and Cracked Pepper first!! Yum! The pineapple ancho chile sounds awesome! Thanks again for the great giveaways! I’m excited to try the SeaSalt and Pepper!!! I would love to try the Sea Salt&Cracked black pepper!!!! Sea salt and cracked black pepper makes my mouth water just thinking about it. WIt would be my pleasure to try the Sea Salt and cracked black pepper!!!!! How do I pick just 1! Ok if I have to, the Korean one sounds delicious! Yummm! Sea Salt and Cracked Black Pepper…..AND my husband is a truck driver!!! My mom LOVES pork rinds so if I won them they would be going straight to her! I personally would love to try the Korean Kimchi BBQ! Pineapple Ancho Chili!! My boss loves Pork Rinds and I would be the favorite employee if I won him Pork Rinds!